Being forever faster means to react and adapt quickly. And that’s best achieved in a buzzing and vibrant surrounding! That’s why PUMA announced plans to establish a new North American headquarters in Assembly Row in Somerville, Massachussets. 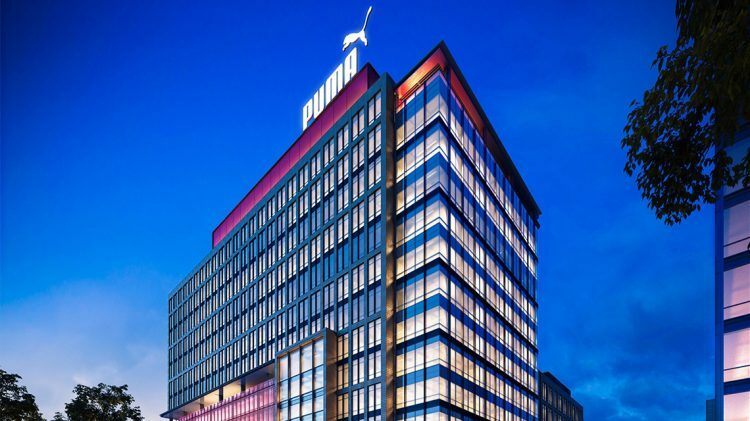 The new headquarters is planned to be ready by 2021 and will bring together the two PUMA offices based in Boston and Westford, providing for best-in-class employee experience. The new headquarters will be located at the Grand Union Boulevard in Assembly Row in Somerville in a soon-to-be-built 300,000-square-foot building. 150,000 square-feet spread over five floors of office space will allow PUMA to hire at least another 100 workers. Playing basketball and dining with a view comes on top: On a 19,000-square-foot roof deck, employees can enjoy their (lunch) break with a view over Somerville. A state-of-the-art fitness center, an on-location kids room and a 2,300-square-foot balcony will also belong to the new headquarters. Not enough? The PUMA employees can also benefit from Assembly Row’s abundant dining, shopping and health and wellness area that is close by.